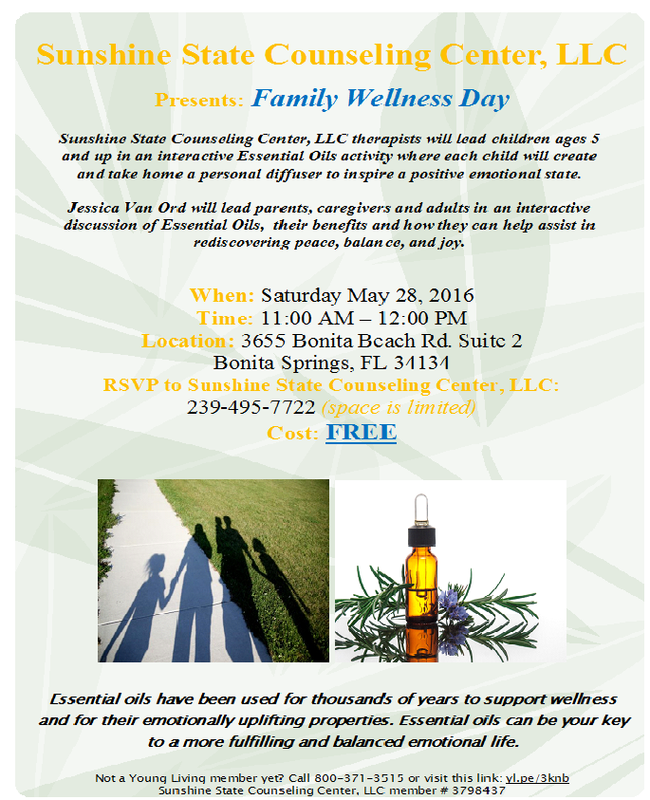 Sunshine State Counseling Center, LLC will be hosting a Family Wellness Day on Saturday May 28, 2016 from 11:00 AM-12:00 PM. This event is FREE and all are asked to RSVP to 239-495-7722 as space is limited. Caregivers will engage in a discussion about the benefits of Essential Oils on emotional wellness. Children and adolescents will participate in an interactive activity where they will learn about Essential Oils and make their own personal diffuser.